We wanted a convenient gift that represented us and our values. Our team created a tube design early on to truly capture the essence of the unique products that we represent and combine. Anything but square, this vessel has gone on to become the hallmark of our business, with now a family of large, medium and small tubes. Made of recycled cardboard we are constantly impressed by some of the ingenious uses people have found for our tubes, helping them live on long past delivery. Every Goods Tube that is sent and received has a detailed Gift Guide enclosed, ensuring the reader is aware of the special goods inside. The Guide To Your Gifts tells the name, origin and story behind each product, valuing the product for their beauty, design and functionality and showing the recipient the thought that has gone into the gift. We source unexpected products from all around the world to put together a tube that's different every time. Carefully packed to create a sequence of discovery, the goods reveal themselves one at a time, taking the lucky recipient on an enticing journey of surprise. 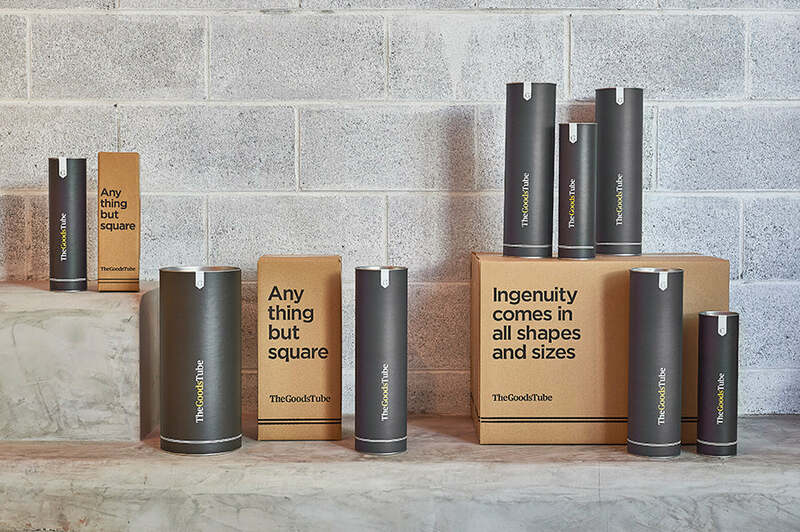 We deliver all over Australia in our custom packaging 'Anything But Square' boxes, designed to perfectly fit and protect the tubes. We are an Australian Architect and a Danish importer and distributor of beautiful goods from Scandinavia. We have combined our skills and energies to create The Goods Tube.